Nokia just added the 5235 Comes With Music to their line up. 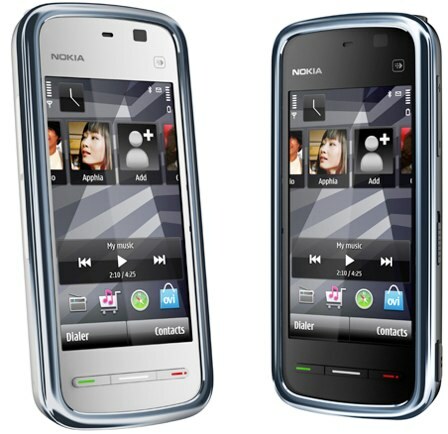 The Nokia 5235 features a 3.2” touch-screen, a 2 megapixel-camera and runs on S60 5th Edition. More over, it comes with a Comes With Music subscription so that you can download as much music as you like. The price point is at 145 Euro before taxes and subsidies. It looks a lot like the 5800 XpressMusic and like the 5230. In contrast to the 5800 XpressMusic the 5235 has no WiFi or GPS. You can expect the 5235 Comes With Music to ship in first quater of 2010.